If you ask any of my friends or family, they'll say that I'm the most festive person they know. I get excited about Christmas in October, and then once the countdown to New Years is over, I'm already looking forward to Valentine's Day, St Patrick's Day and Easter. I don't need any excuse to celebrate life and little holidays along the way keep things interesting. So in honour of yesterday being St Patrick's Day, I thought I'd show you how I celebrated. 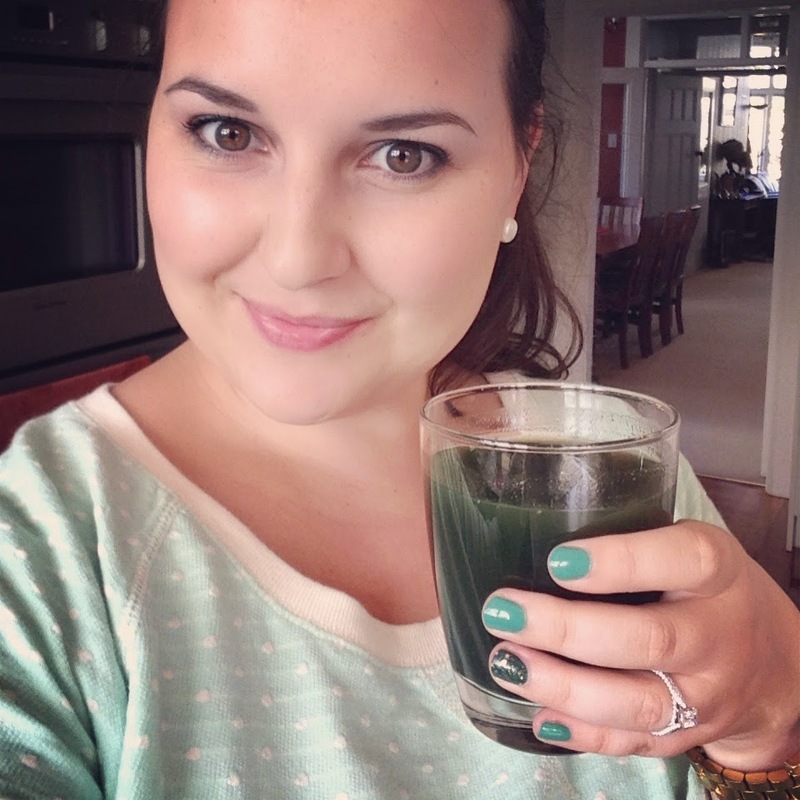 - I started the day with a green beer Spirulina drink that I dubbed a Shamrock Smoothie! - I donned a mint-green jersey. The L'Oreal Nail Polish is in shade 849* and is called Vendome Emerald. It's one of the Color Riche Vernis polishes and is a gel-based formula with a built-in top coat. I am in love with the Color Riche formula and hope they never discontinue them because I have plans to buy more. The brush is so incredibly easy to use, it's rounded and thick so it nearly coats the entire nail in one swoop. The formula is opaque enough from the first coat and the finish is smooth. I love Essie nail polishes but the brush isn't as good as the L'Oreal ones. I applied 'Going Incognito' on my ring finger for accent and topped it with Chi Chi 'Kim Wannabee Hilton', a gold glitter. I'm trying to do my nails more often and I'll remember to show you when I do. - I decorated festive cupcakes for family and friends. I made some little 'pot of gold' cupcakes with a hole in the centre which I filled with mini marshmallows. Then I iced over the hole and put a couple more mallows on top. Just a quick, sweet treat for my nearest and dearest. So that is what I did to make sure St Paddy's Day wasn't just a passing day. I have a few beauty reviews coming up in my next posts.